Founded in 1903, Ford Motor Company is one of the largest car enterprises in the world. In 1908, Ford produced the first T car which can be available easily by the ordinary people. The world automobile industrial revolution started in 1913. Ford developed the first car production line in the world. Then the sale of T car reached 15million in the world. Ford steel wheel hub adopts ventilated disk brake and the former brake type. This wheel rim for Mercury is combined with the hand brake. Wuxi Hengsheng Wheel Co., Ltd is a professional Ford wheel rim manufacturer and supplier in China. In addition to Ford wheel rim, we also provide other famous models steel wheels (rims) for our clients around the world, like Lincoln wheel (rim), Mazda wheel (rim), Mercedes wheel (rim), Volkswagen wheels (rims), Volkswagen wheels (rims), Mitsubishi wheel, NISSAN wheel, OLDSMOBILE wheel, PONTIAC wheel, etc. 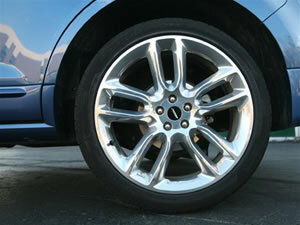 We possess a professional technology team to guarantee the manufacturing of Ford wheel rim. We will checkout all the products and give out a survey report. According to the needs of every client, there will be a dynamic balance sample survey among parts of the qualified Ford wheel rim.